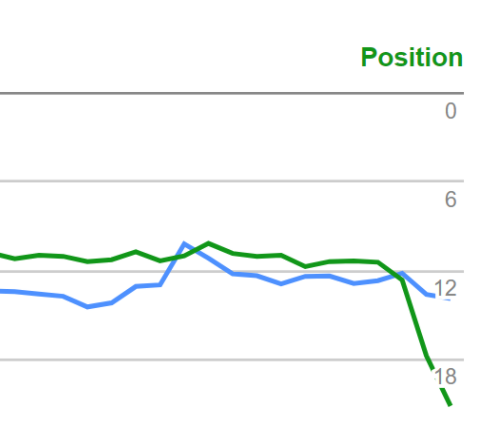 Home > Google News > Google SEO > Google Search Console Average Position Metric Broken? If you go to the Google Search Console and access your average position metric within the Google Search Analytics tool, you may see a sharp drop in that number. May are noticing that the average position has significantly dropped in the analytics tool while the other metrics have remained flat. Google has not confirmed if this is a bug or not, but I suspect it is if so many people are complaining. I personally can replicate this as well on the properties I have access to. Forum discussion at Google Webmaster Help and Twitter. Update: This is not a bug, but a feature change to the reports - you can learn more over here.